India is a country who always recognized the contributions of his freedom fighters, leaders and martyrs. Their birthdays are celebrated as Jayanti, death anniversary as Punyatithi with great passion. Many leaders like Bhagat Singh, Sukhdev, Mahatma Gandhi, Chadra Shekhar Azad, Netaji Subhash Chandra Bose to name a few. Netaji Subhas Chandra Bose's birthday or Netaji Jayanti is celebrated in the light of patriotism and a breeze of love for country as '' Desh Prem Divas'' on 23rd January. 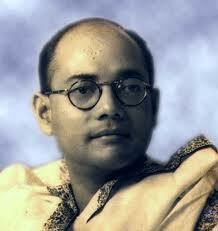 In the course of struggle for freedom Netaji formed Azad Hind Government and led the Indian National Army. He advocated a revolutionary and violent way to protest as opposed to non-violent approach by Mahatma Gandhi. The party urged the government to announce the birth anniversary as “Desh Prem Divas” and is celebrated throughout the country with passion. The memories of martyrdom, sacrifices and patriotism became afresh. All over India many celebrations happen on this day. Subhash Chandra Bose birth anniversary is celebrated in a grand way among the party members of Forward Bloc. All the district administration and the local civic body also observe Netaji Jayanti. Many N.G.O.s organizes Blood Donation Camps. Schools celebrate the occasion to instill dedication, sincerity and fighting spirit in the students. The schools organize various activities as Exhibition, Quiz Competition, debates, extempo, sports, Cultural Programs and annual prize distribution ceremony.